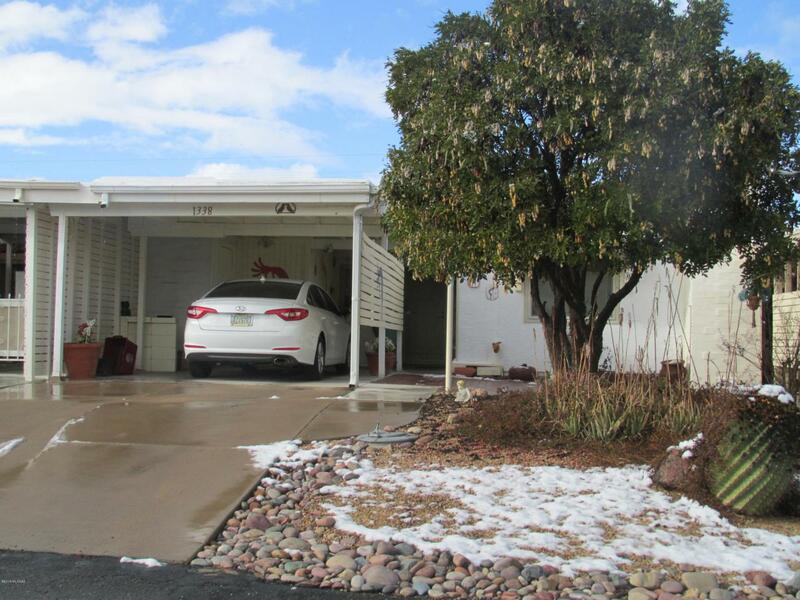 Nice Well-Kept Townhouse with a cozy Courtyard & a 1-Car Carport. 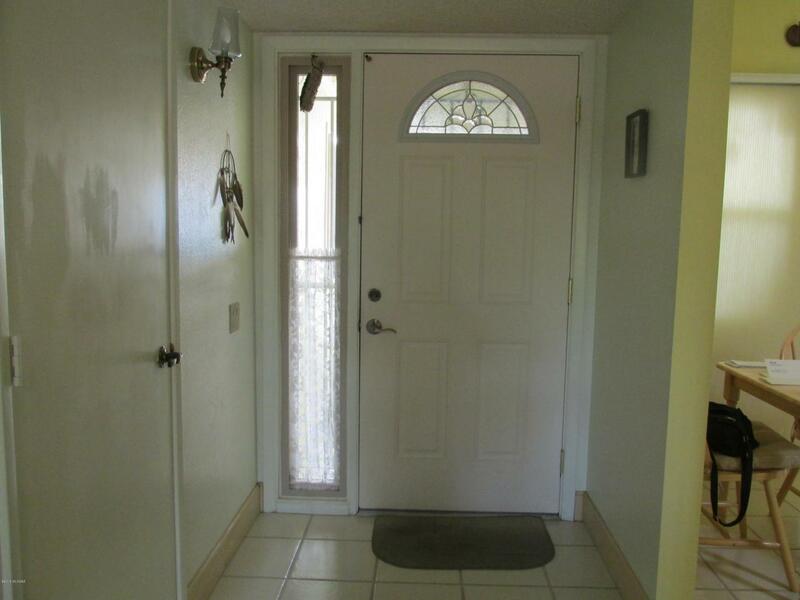 Entry w/Security Door. Good Size Family Room plus Dining Area all with beautiful Laminated Flooring. 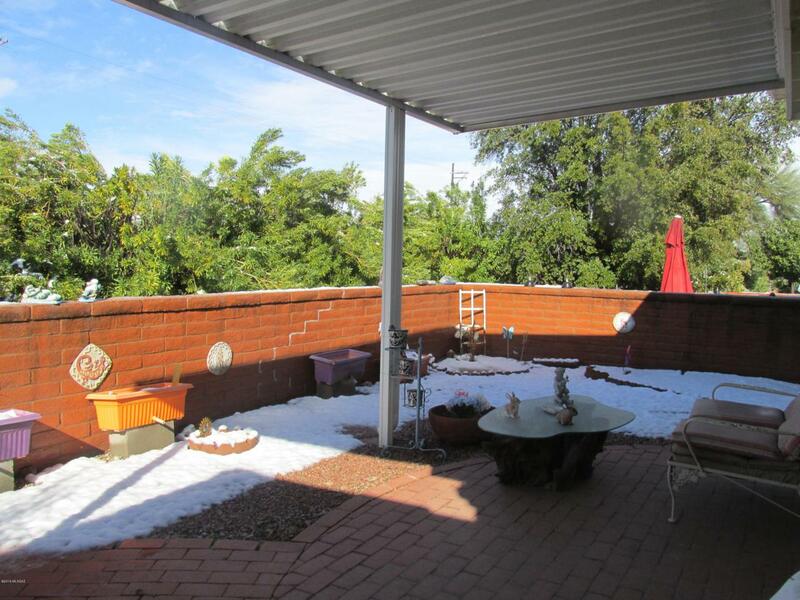 Kitchen w/Tile Floors, Electric Stove, Pantry Closet, refaced Cabinets plus a Refrigerator. Laundry Utility Area with Stack-able Washer & Dryer & Cabinet for Storage. This Townhouse has no Carpets. 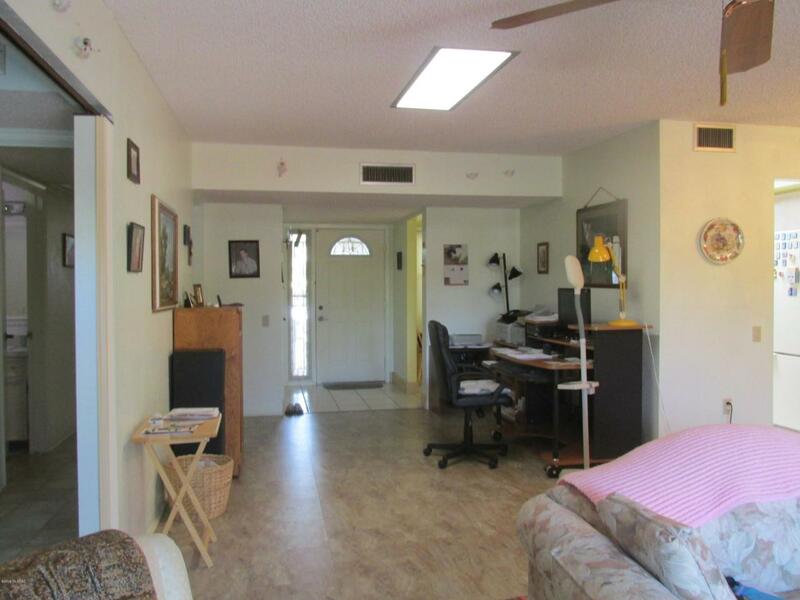 Master with Ceiling Fan, His & Her Closets and Remodeled Master Bath w/Walk-In Shower. Guest Bedroom with Murphy Bed, Hall Bath with Tub/Shower Combo. Hot Water Heater has been replaced. Electric Heat & A/C Pump replaced 12/2018. Window Coverings are Hunter-Green Blinds, Windows Replaced 2007. Cozy Covered Patio. Good-size Townhouse to enjoy Retirement Living and conveniently located to Restaurants, Church's & Shopping.